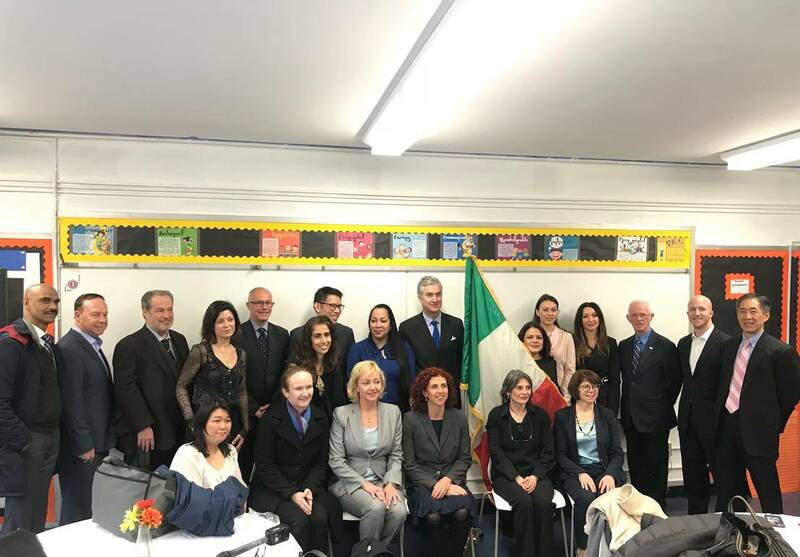 Parents, students, institutions, companies, and various supporters of the initiative gathered this morning in Harlem’s Public School 242, to celebrate and officialize a new Italian Dual Language program, the first in Manhattan. 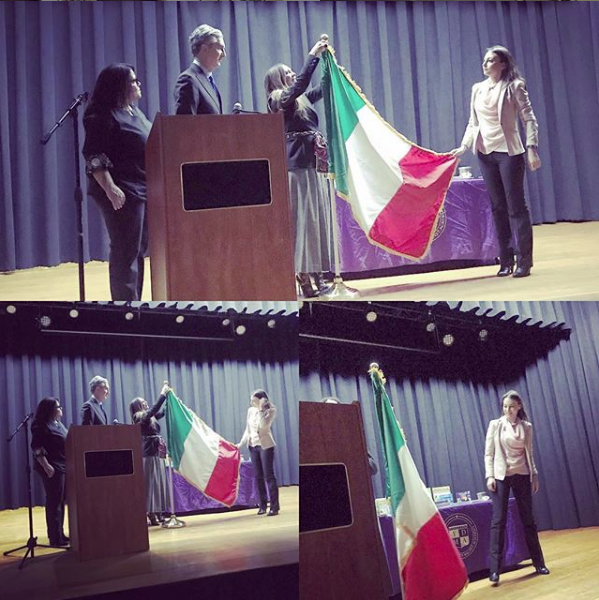 The project to bring this program to PS 242 came from InItaliano, a grassroots initiative that promotes Italian language and culture in various public and private educational settings, conceived by three Italian parents with the aim of filling the lack of resources for Italian speakers within the school system. 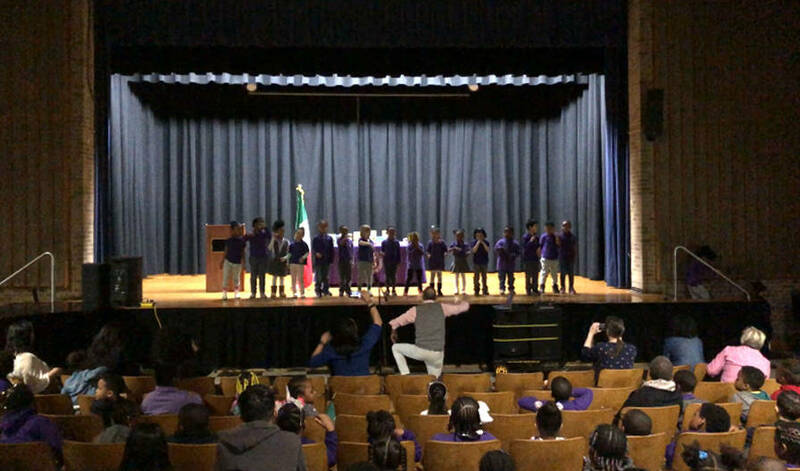 Some of the students are already taking part in an unofficial Italian program launched by the school, where they are learning, amongst other things, Italian songs, such as the one performed by a group of kindergarten students (none of them native Italian speakers) during the ceremony. A significant aspect of these Dual Language programs is that they also expose non-Italian students to the Italian language. 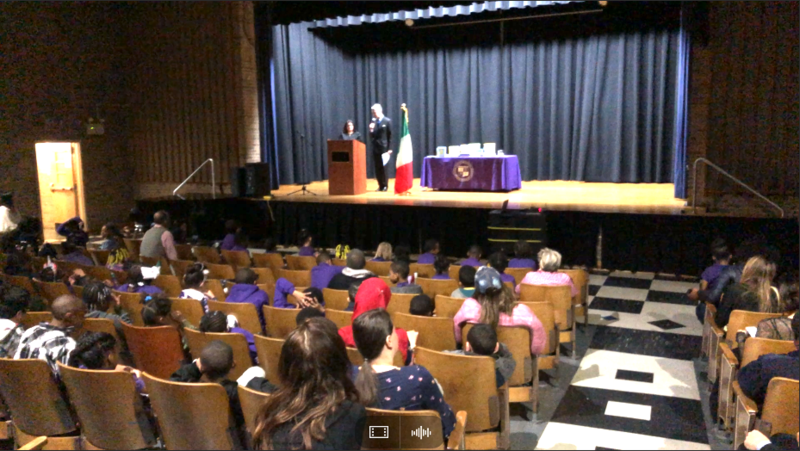 “It’s not only important for the Italian American community but for society in general,” remarks Jack Spatola, Principal of PS 112, a school in Lefferts Park, Brooklyn, where the city’s first Italian Dual Language Program was launched in September 2015. Various organizations and companies attended the ceremony to show their support for this initiative. 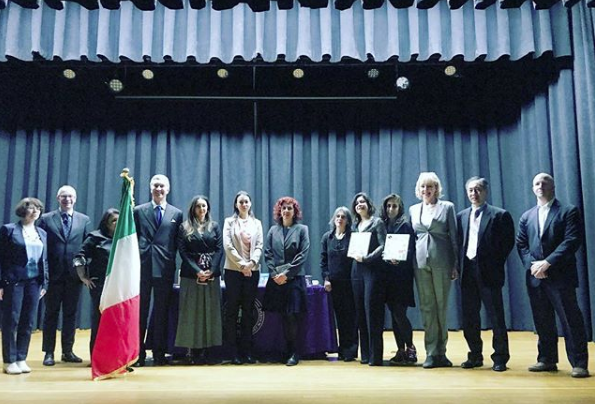 “It was a true team effort,” said the Consul General, explaining how New York Italian institutions, companies, and media came together to accompany and facilitate the hard work undertaken by the dedicated parents at InItaliano. 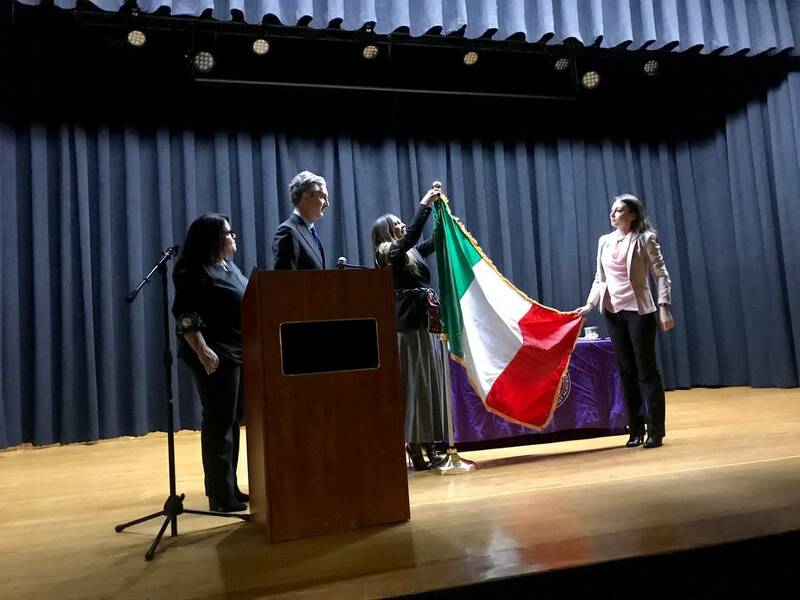 One of those supporters was the Italian American Committee on Education (IACE), a non-profit organization founded in 1975 for the purpose of promoting the study of the Italian language and culture within the tri-state area. Livia Senic-Matuglia from Rizzoli was present as well. “As an Italian bookstore with an important history in New York we thought it was important to be here to support such an important project for the families that are trying to maintain the Italian language,” she explained. The demand for Italian language programs is growing in New York and more schools are starting to offer the opportunity to study in the language. 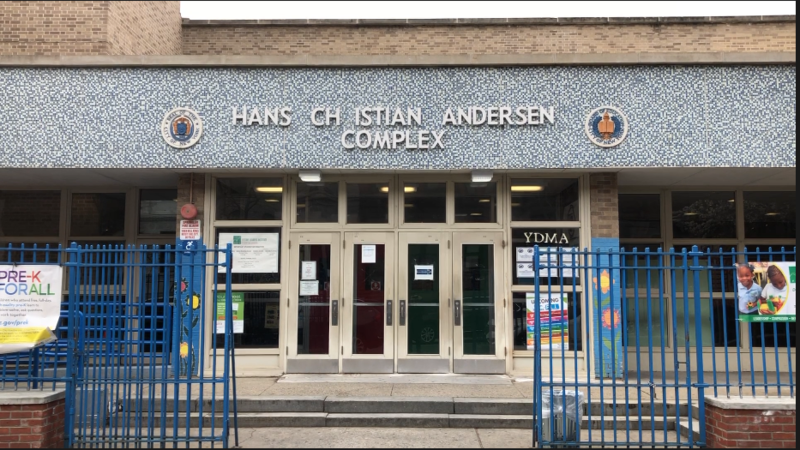 Another Public School in District 14 in Williamsburg, Brooklyn is working to start an Early Immersion Italian program. For more information and updates you can visit InItaliano’s website.